Already established as the premier nightlife destination in Los Angeles and Las Vegas, Hyde Lounge’s energy takes over the sand with the debut of its first day and nightlife oceanfront location – Hyde Beach. HYDE Beach has been sold out every weekend for the last few months – THE hottest beach party. You can spend the bottle service minimum on beverage and food by none other than Jose Andres. Origin typically plays a mix of EDM, top 40, and hip hop. Where is Hyde Beach located? 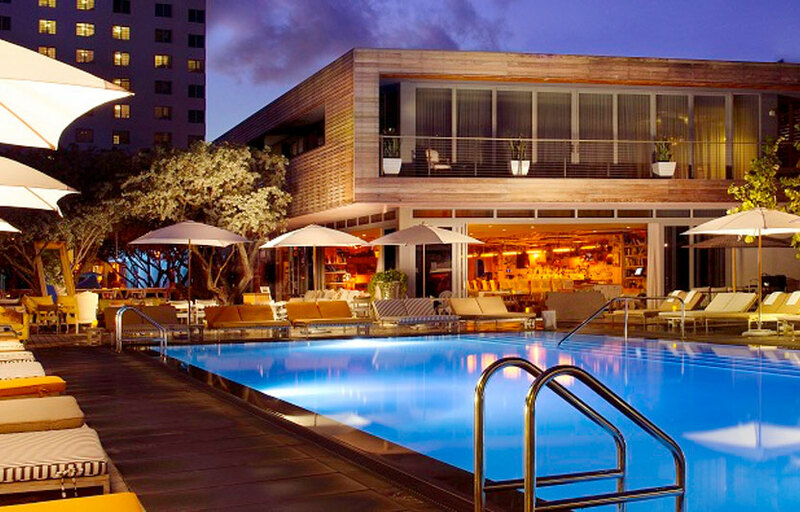 Hyde Beach is located in the SLS Hotel at the corner of Collins Ave and 17th Street. How much is cover charge at Hyde Beach? General admission is usually $20-30 depending on the day and DJ. How long will I have to wait at Hyde Beach? When is Hyde Beach open? 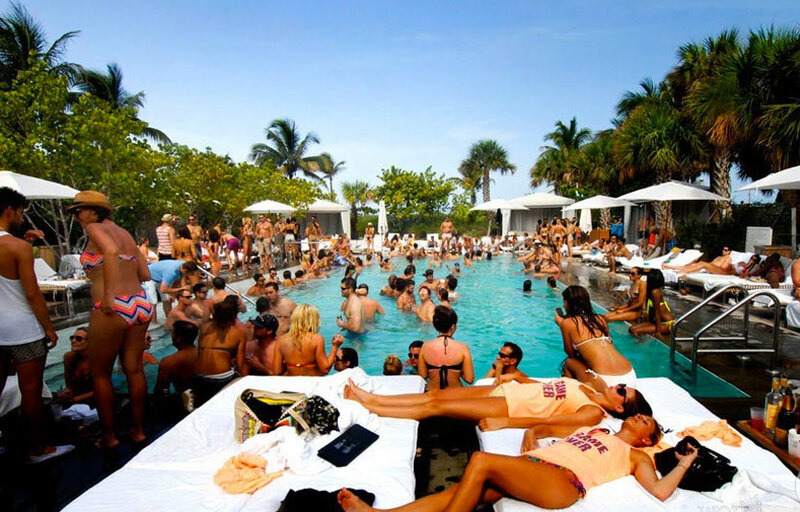 Hyde Beach daylife is open 7 days a week from 11 AM to 2 AM and nightlife Thursday to Saturday 10 PM to 2 AM. What are the best nights to go to Hyde Beach? What is the dress code at Hyde Beach? For Hyde Beach day party, swimwear is highly encouraged. No speedos / banana hammocks. Euro shorts are okay. No jerseys, sportswear, etc. For the night party, upscale club attire, collared shirts/dress shoes for men. Avoid anything that can be considered sportswear. Is there parking near Hyde Beach? 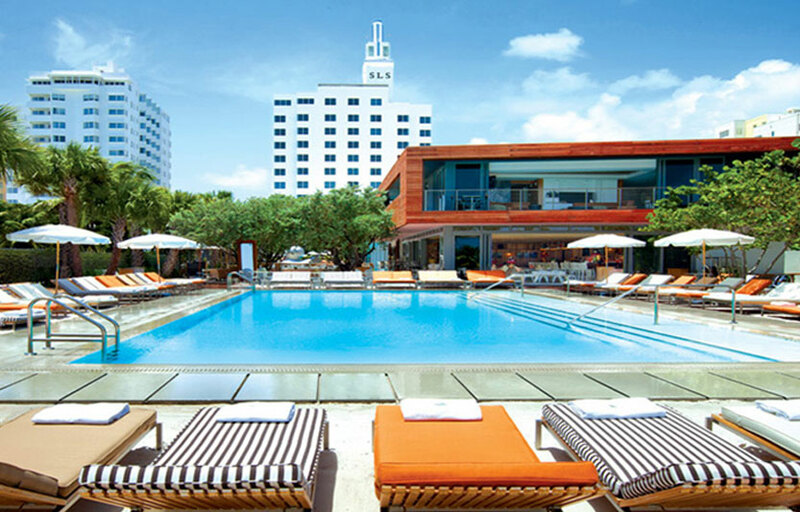 There is on-site valet at the SLS hotel and parking lots nearby ranging from $5-15 depending on the day. How much do drinks cost at Hyde Beach? What kind of music do they play at Hyde Beach? Hyde Beach usually plays a mix of hip hop, top 40, and EDM. Where can I find an list of upcoming events / DJs at Hyde Beach? You can download the Discotech app to see upcoming events, and book tables for Hyde Beach. You can also visit Hyde Beach’s homepage for a current list of events.